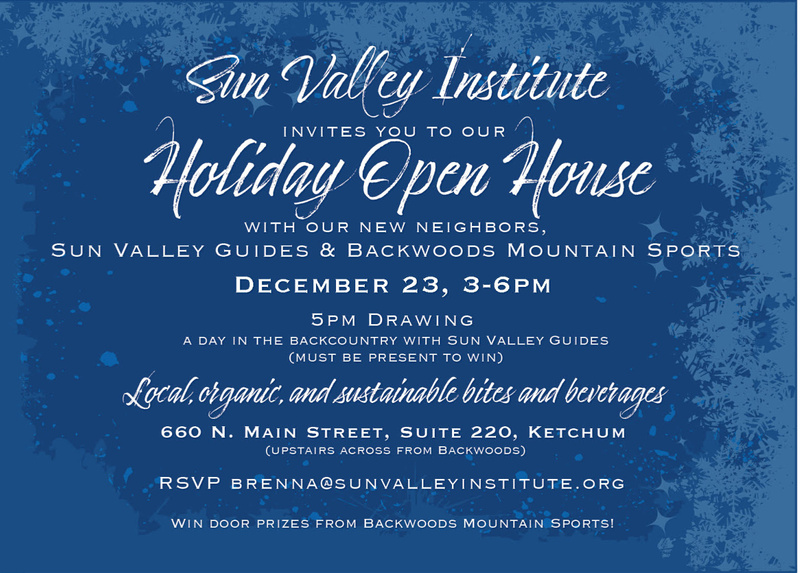 5pm drawing - a day in the backcountry with Sun Valley Guides (must be present to win)! Door prizes from Backwoods Mountain Sports! Local, organic and sustainable bites and beverages! Keep our community in the loop of your farm, food business, and/or related events!